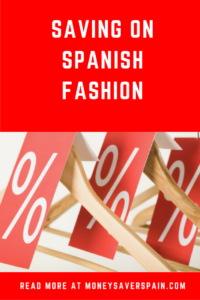 Whether you like shopping at Zara, Women’secret, Desigual or Mango, take a look at how to save on Spanish fashion and remember to sign up for our weekly newsletter to get up-to-date promo offers. During in-store promos stocks are limited, so why not buy online and request delivery to your nearest store? By doing this you can normally avoid return charges if an item isn’t the right size. Promos are held regularly, many of which are online-only, so for the latest info sign-up for their newsletters. Most of the Grupo Cortefiel websites are now available in English, so you can easily shop from home (check delivery rates below). .
Cortefiel: The second largest Spanish fashion group after Inditex (Zara), Cortefiel has stores across Spain and also sells online. Standard delivery is free for orders over 60€ (70€ for Canary Isl. ), or free to a local store for orders over 40€ (see full list of delivery rates). Springfield: As well as sales items, you can check out their special price section too. Delivery costs 1€ to a local store or 2.95€ for mainland Spain and the Balearics. If you’re a big Springfield fan, then take a look at their Funatics website – free delivery on all orders for a year, 8€ off any purchase on your birthday, exclusive promos and lots more – just request your Funatics card the next time you make a purchase in store. Women’secret: Free delivery on orders over 50€, check charges for smaller orders. Alternatively if you collect in store it’s free for orders over 50€ (charge of 1€ applied for orders below this threshold). If you shop frequently at Women’secret, become a member of their Wow Club – benefits include online discounts for items not currently reduced, 20% discount on Rusticae hotels bookings, 10% permanent discount at L’Occitane and more. Pedro del Hierro: More expensive than other Grupo Cortefiel brands, check out their online outlet for men’s and women’s discounted items. Fifty Factory: This is Grupo Cortefiel’s outlet – with all the above brands and Pierre Cardin too. Permanent discounts of up to 70% are available on previous seasons items and current seasons when items have been overstocked. Stores are located across Spain, or buy online (delivery charges apply based on location). Desigual: Register online to get a discount voucher for your first order. Also take a look at their online outlet for both men’s and women’s items. Free delivery applies to orders over 119€, otherwise there’s a flat rate tariff for delivery of 5,95€, regardless of the size of your order or collect in any Desigual store and get free delivery. You can also get their Tarjeta Amig@ which gives a 10% discount in store for purchases of over 100€, special events with 20% discounts and much more. Zara’s website in Spain is available in English. Free standard shipping is available on all orders over 30€ and returns are free too (a courier will collect your items). Orders under 30€ cost 3.95€ shipping charge or pick-up in your local Zara store for free. Oysho‘s website is also available in English. Free shipping to stores, 2.95€ to drop points and 3.95€ standard home delivery. 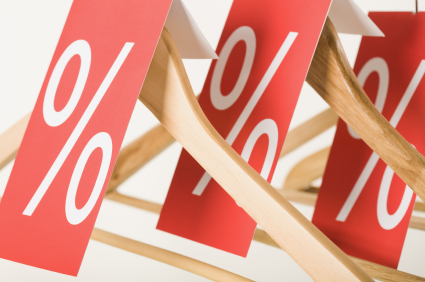 Bershka stores offer the same shipping rates. At Mango delivery is free on all orders over 30€, 2.95€ if your order is under this threshold or free to a local store. Mango online also offers their Violeta range of plus size clothing. Mango also has an outlet where they sell current season items with small defects and leftover stock from previous seasons. When visiting the Mango outlet website you should choose your location in Spain as there are different sites including the Canary Islands, Ceuta and Melilla. At their outlet the threshold for free delivery is 50€. Mango’s helpline 901 150 543 is available in English (as well as Spanish). Newbies should try registering, selecting items and then abandoning their shopping cart before paying. Often you’ll get an email with a discount to tempt you back. Also consider downloading brand apps, these often come with an introductory discount offer too.